Traditional foldable fans meet African ingenuity! 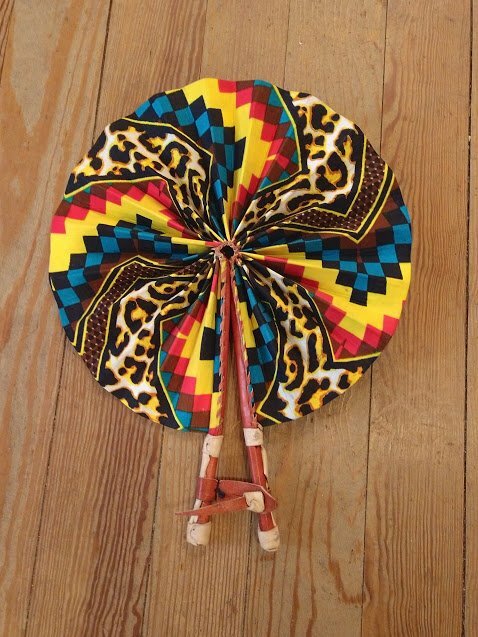 This fabric fan has leather handles and a strap to secure the fan either open or closed. Works great, as well! Fan diameter, when open is approximately 11". When closed the fan is approximately 9" long, 2" wide, and 1" deep.